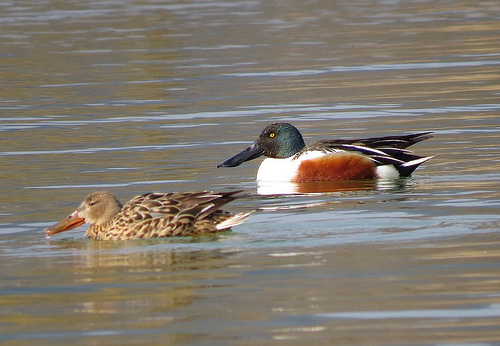 The huge bill is distinctive for the Shoveler. It strikes the observer not only when the bird swims but also when it flies. 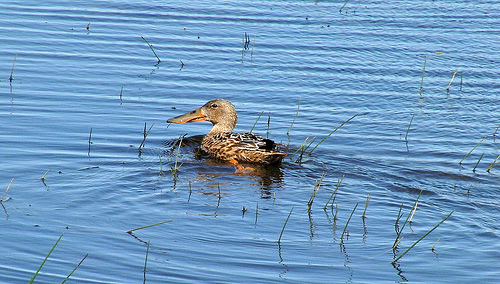 The Mallard has a normal-sized bill.